A three-hour Westminster Hall debate on school funding will take place on Monday. The debate was called by Blaydon MP Liz Twist in response to a petition set up by head teachers in Gateshead and signed by thousands of NEU members. In a week that saw governors march on Parliament calling for an end to funding cuts, the petition passed 100,000 signatures and a video featuring the Gateshead heads has been watched almost 400,000 times, a clear indication of the depth of public feeling on the issue. We are encouraging members to contact their MP and urge them to speak in the debate, passing on real stories of the impact of cuts in their constituency. More than 1,600 emails have already been sent to around 470 individual MPs by NEU members and School Cuts supporters. The more teachers who contact MPs with their stories the better so please encourage members to do this before the debate. You can watch the debate live from 4.30pm on Monday. Yesterday the NEU Councillors Network launched an open letter to Damian Hinds, calling for more money for education ahead of this year’s spending review. In just a few hours 80 councillors had already signed it: please share it with councillors you know to get as many signatures on this letter as possible. This week the Department for Education put out a call for primary schools to sign up for the pilot of the Reception Baseline Assessment, to take place this September. The NEU believes Baseline testing is a waste of teachers’ time and public money and is not in the best interests of pupils. Baseline is intended for purposes of school and teacher accountability, not for supporting children’s learning. Its focus on language, literacy and numeracy will narrow the early years curriculum. The test is opposed by most political parties, academics, parents and education professionals. Many schools will not sign up for the pilot, which is entirely voluntary, and the NEU will support them in this. We are asking primary heads to tell us whether they will be signing up for the pilot. To support heads, we are asking NEU reps in primary schools to discuss with members a model motion opposing Baseline. Campaign group More Than A Score (MTAS), in which the NEU is a partner, is asking parents to ask their head teacher not to take part in the pilot. On the day of the Government’s announcement MTAS released the results of a YouGov poll showing the scale of opposition among school leaders to Baseline. Meanwhile, the MTAS petition against Baseline continues to gather signatures and has now passed 46,000: please continue to encourage members and parents to sign it. Issues have been raised with the Union about the safe assembly of pop up stands. We are asking everyone who regularly uses pop up stands to watch this video on their safe assembly. Please note that the stand featured in the video is not the exact same model as the ones supplied by the union. However, the technique for its assembly and disassembly is the same. The ‘walking’ technique which should be particularly noted starts at 1.45 into the video. The theme for IWD2019 is #BalanceForBetter, and throughout the week, NEU will be celebrating the achievements of women and highlighting the need for better gender-balance in workplaces and structures. IWD2019 falls on the last day of this year’s TUC Women’s Conference. On Twitter, @NEU_Women will be tweeting throughout the week from the conference, and will be highlighting the issues raised in the report, “It’s Just Everywhere”, produced by NEU and UK Feminista, which collated evidence on the prevalence of sexism and sexual harrassment in the classroom. During the week, we will be asking activists to tweet selfies from their classrooms and staffrooms in the IWD ‘balance pose’ (see examples here). Twitter materials will be available on the webpage and via the @NEU_Women account. Please follow the page to get involved. If you are attending any District or workplace meetings in the next few weeks, please take photos using the Twitter boards and tweet the pictures using the hashtags #IWD2019, #BalanceforBetter and #NEUWomen. Alternatively please email photos to carly.doyle@neu.org.uk, for sharing on the @NEU_Women account. Applications are now open for the October 2019 half-term delegations to Palestine and Cuba. The visits will show solidarity with international colleagues, offer an opportunity for personal and professional growth, and inform your advocacy around education for all and human rights internationally. Click here for more information, which must be returned to the international team by 5pm on 10 May 2019. We are planning a very exciting event on Friday, 27 September to mark World Teachers’ Day. The event will take place in the evening at Hamilton House, Mabledon Place, London. Save the date in your diary to ensure you don’t miss out. Too late for last week’s bulletin was news that William Torbitt Primary Academy no longer has an academy order over its head, thanks to school improvements and a strong campaign to save it. The news broke in the Ilford Recorder and we released a full comment here, which was picked up by Schools Week. The week began with a major report by the NFER on the state of the teacher labour market in England. Our press release is here and it was quoted by Schools Week, the Guardian, EdExec, Personnel Today, Public Finance and TES. A TES investigation revealed a ‘catastrophic’ drop in applications for academy sponsorship. Mary commented on there being just two applications from the business sector in 2016/17, one of which was withdrawn and the other rejected. There was a lot of media interest in new guidance for schools on RSE, which the NEU welcomed as a major step forward. You can read our statement here. Joint President Kiri Tunks spoke to 5Live, which you can download for a week here. Proving that NEU surveys and reports can permeate for many months, there were references to our Christmas survey on holiday hunger in Ian Lavery’s column for the Sunday People. The Guardian reported on a decision by a primary school in Stockport to shut early on Fridays. Kevin was also quoted in the I.
Kevin criticised Nick Gibb’s latest push for baseline, which you can read here and was picked up by the Guardian and EdExec. Kevin also reacted to today’s figures from the TUC showing that teachers do more unpaid overtime than any other sector – see the TES and the Independent. And Mary spoke to Schools Week about the “feeble” efforts by Government to rein in high CEO pay in academies. Finally, Kevin’s latest column for SecEd draws attention to this year’s Send My Friend to School campaign, and Mary’s latest blog on Ofsted was published by the TES late last Friday. Please find attached the Agenda for the meeting of 12 March. I know how busy you all are, but please make an effort to attend this meeting. To lessen the strain on you we will try to do as much business as possible at each meeting and have fewer of them — probably another 2 before the end of the year. If you are a Conference delegate it is particularly important to come. As I have mentioned before, to do any business we have to have a quorate meeting which in our case means at least 30 members present. Since we have nearly 10 000 members in Surrey this doesn’`t seem a big ask, but in practice Union Districts all over the country struggle to achieve a quorum which means that we can be the biggest Union but that we cannot do anything significant. School Cuts : please review – and sign ! The Education Secretary, Damian Hinds, keeps saying he’s given schools more money, but let me tell you, I’m a headteacher and at St Joseph’s that certainly isn’t our experience. If you look at my budget, I’m being asked to do more and more each year and I have fewer resources than ever. This is why, here in Gateshead, we gathered headteachers together and decided to do something about it. We started a national petition that will be debated in Parliament on 4th March. Share our film today and tell the Government you want proper funding for our schools. Between now and 4th March, I want us to hit 100,000 signatures on our petition so that MPs know we mean business. Let’s show them that parents, heads, teachers and support staff are united across the country. I believe we can do that and more. Over the last few years, the Government has put more and more pressure on schools. We’ve had more children than ever before. And with cuts to social care and local services, schools are under even more pressure to provide support for children and families who need it. I believe schools should be funded adequately and fairly. It’s not a lot to ask. Parliament will debate this petition on 4th March and it’s crucial MPs know how important it is. Sign the petition to make sure they really know what’s happening in our schools. I believe our children deserve the best possible education to enable them to be healthy, successful and happy in the future. Our schools need sufficient resource to provide that provision now. I stand by that and I’d be surprised if any of you disagree. As headteachers, we asked our community to help us tell the Government these cuts can’t go on. We’ve had so much support in Gateshead. Now we’re asking you to help too. The next meeting of the Surrey District NEU will be on Tuesday 12 March at George Abbott School, 6.00 pm –8.00 pm. It will be chance to discuss how the establishment of the NEU is going and to raise any issues about it. An Agenda and papers will be going out later. If there are any issues that you think we ought to be discussing, let me know and I will include them. It will also be our last meeting before Annual Conference and delegates to Conference should make a special effort to attend. Besides that, there are some important financial decisions to make which can only be done at a quorate general meeting. Since the National Executive require a quorum of 30 for an Association of our size ( nearly 10 000 !) we need a good attendance from everyone — bring a friend! Remember that childcare allowances are payable by the District to members attending meetings. I theory we should be a huge and booming organisation but without quorate meetings we can`t be anything at all. Latest news from NEU: 1st February 2019 : Please note new national contact helpline ! The Government’s recruitment and retention strategy – published this week – was widely criticised as being insufficient to tackle the major problems of excessive workload and dwindling pay. Damian Hinds unveiled the plans to try to attract and keep more teachers in the profession, amid mounting concerns about staff shortages. While containing some interesting initiatives, the strategy fails to address the wider, systemic issues which drive up workload, such as the accountability regime, while limited action on pay will not increase teacher salaries across the board. As part of the strategy, ministers are advising head teachers to push back against Ofsted if they think inspectors made unreasonable demands for paperwork during inspections. This is further evidence that, despite official guidance and many warm words from the schools watchdog, Ofsted itself acknowledges that unacceptable practice continues. We are asking members – including heads – to let us know of examples of where inspectors ask for teachers to provide things which the guidance makes clear are not required. Please encourage members in schools which have recently been inspected to do this. Meanwhile, a separate DfE report found that, while most heads say they have taken action to cut workload following guidance by the DfE and Ofsted – such as reducing or changing planning or marking policies – more than two thirds of leaders (68%) and almost half of teachers (47%) say these activities have not made their workload more manageable. The results, from the School Snapshot Survey from last summer, suggests actions taken by schools are not effective, again pointing to the wider drivers of workload which need to be addressed. In another blow to recruitment and retention, in his submission to the School Teachers’ Review Body (STRB) this week, Damian Hinds said a 2% pay rise for teachers this September is all that is “affordable nationally”. The STRB is currently taking evidence on what pay rise should be recommended. His comments came days after NEU, along with ASCL, NAHT and Voice, submitted a joint pay claim for 5%, saying this is appropriate to begin to address years of real-terms pay cuts. Hinds’ submission was widely condemned by unions as “derisory” and “disgraceful”, placing huge shackles on what the independent review body can recommend when it reports in the spring. His comments were made on the same day that we revealed the results of our latest pay survey, of 34,000 teachers, showing huge levels of dissatisfaction with pay. The survey showed 70% of respondents are thinking of leaving the teaching profession due to poor levels of pay or the PRP system. A growing number of teachers who were denied pay progression reported being told that this was due to funding shortages (19%, up from 17% in last year’s survey and 15% the year before). Among teachers turned down for progression, the most common reason given was failure to meet objectives for pupil progress, cited by 32% of respondents. This is contrary to the recent report of the Workload Advisory Group, which says objectives and performance management discussions should not be based on teacher-generated data and predictions or solely on the assessment data for a single group of pupils. This week we have written to NEU members who are school governors, asking them to get involved in the forthcoming National Governance Association (NGA) week of action. As part of the week – Funding The Future, from 25 February to 2 March, governors are being asked to lobby their local MP by inviting them to their school, by visiting their constituency office or by taking part in a national lobby of Parliament on 28 February. Please make sure teacher governors in your area know about this week of action and urge them to take part, along with fellow governors and head teachers. We are asking members to confirm or let us know if they are governors and to RSVP to lobby@neu.org.uk if they intend to attend the NGA national lobby. Meanwhile, the school funding petition set up by a group of head teachers in Gateshead is approaching 56,000 signatures. Please continue to do all you can to promote this among members, to try to force MPs to debate the issue. The NEU’s Mark Langhammer, Jacquie Reid from UTU and Gerry Murphy from INTO were in Westminster to give oral evidence at a hearing of the Northern Ireland Affairs Committee’s school-funding inquiry on 9th January 2019. NEU-UTU-INTO had made a detailed submission to the Inquiry on school funding, which is available here. MTAS is asking parents and teachers to take part in a Chalk Protest to raise awareness of these absurd assessments, testing children within weeks of starting school and using the results to judge schools against each other. Parents, teachers, heads and experts all agree that testing four-year-olds makes no sense, yet the Government plans to spend £10m on the scheme. Meanwhile, the MTAS petition against Baseline continues to gather signatures and has now passed 40,000: please continue to encourage members and parents to sign it. The phone number for the NEU AdviceLine is 0345 811 8111. The Finance Department are still missing Forms 102, 103 and a copy of the bank statement(s) showing the balance(s) at 31 December 2018 from approximately 60 former NUT Associations and Divisions. This information is a crucial part of the year-end consolidation process. If your former NUT Association’s/Division’s forms have not been submitted to the Finance Department, please could they be returned no later than 8 February. Please contact Nikheel Channa at Nikheel.Channa@neu.org.uk with any questions. Please raise awareness and encourage members across your district to take to the streets on UN Anti Racism Day. There will be demonstrations on the day in London, Cardiff and Glasgow. The historic parliamentary defeat of the Prime Minister’s Withdrawal Bill only strengthens growing concerns around the consequences of a no-deal or bad deal Brexit on the education sector, with data suggesting this government has relied on foreign nationals to fill gaps left by chronic staff shortages. In order to humanise and centre discussion on how this will impact in the classroom- we are looking for EEA national members or UK nationals living in EU member states to take part in a short film and ultimately feed into a guidance document. Please contact huda.elmi@neu.org.uk if you can know of any members that would be keen to help! Proposals to significantly increase employer contributions to the TPS is an immediate and real threat to the terms and conditions of NEU members in the independent sector from September 2019. Some independent schools will withdraw from the scheme; others will curb other spending, including pay. Click here to read a full briefing, including what members can do about it. Applications are now open for branches, ISOs and members who would like to act as hosts for an international guest at Annual Conference. The role of host may include accompanying guests to appropriate fringe/breakout/CPD events, holding meetings with your delegation and arranging one or more evening meals with them, but is very flexible. This is an excellent opportunity to make a strong, lasting and fruitful connection with an international colleague. Click here to download an application form. The deadline for applications is 3 March 2019. The third annual Solidarity with the People of Turkey (SPOT) Conference provides an opportunity to hear from those who have seen and experienced the reality of life under Erdogan’s authoritarian regime and invites you to find out more about what the campaign is already doing to build international solidarity and call to account both the Turkish state and the complicity of our own government. Click here for more information and to register. Download the conference flyer here. You can now book your place on the 2019 NEU Support Staff Conference – but hurry – places are limited. The conference is FREE for NEU members to attend, and reasonable travel expenses to and from London will also be paid. Please visit the website for further information, workshop details and a full programme of the day. On Wednesday, the window for submission of evidence to the School Teachers’ Review Body closed. We made a joint statement with NAHT, ASCL and Voice calling for a 5% increase across the board (Press Association, Morning Star, Schools Week), released our own pay survey (Public Finance, TES, Education Executive), and the Government weighed in by saying that a 2% pay rise would be desirable. We criticised the Government for trying to direct the STRB on working within budget constraints, and said that the suggested amount was ‘derisory’ (BBC News, TES, Schools Week). Barclay School was today transferred to Future Academies, a chain founded by Lord Nash. Kevin spoke to the Guardian about the grassroots campaigns against forced academisation. Damian Hinds has recently made a renewed push for academisation and more free schools. Schools Week reported on his meetings with faith leaders (Schools Week) while we responded to the new application launch for free schools (Education Executive). Elsewhere we commented on Adoption UK’s call for Ofsted to review how schools account for the way they support vulnerable students (TES), exclusions due to drugs and drink (Daily Mirror), breast ironing (Guardian), and the continuing issue of huge salaries for academy heads (Daily Mail). Our recent press releases are available here. As you will know, the indicative ballot closed last week and results were reported to members on Monday. The final turnout was 31.4%, with 82% of members in schools and 84% of members in sixth forms saying they were willing to take strike action over funding cuts. There was unanimous support for the campaigning work we have done on school and college funding cuts with members wanting this to continue. And, sadly but inevitably, the vast majority of respondents said cuts are harming their school or college, making it harder for leaders and teachers to do a good job for students and pupils. While the turnout did not meet the 50% threshold for formal ballots imposed by this Government’s punitive trade union laws, the fact that more than 80,000 members gave us their views represents a huge and unprecedented achievement. This is a testament to all the hard work you have done to build the ballot in your local area. The responses members have given will provide us all with extremely useful information on which to build the next stages of the campaign. Encouraging members in your area to sign the Gateshead heads’ petition and get it to the 100,000 signatures needed to force a Parliamentary debate. Keep visiting the website for the latest on the pay campaign. From 25 February to 2 March the National Governance Association (NGA) are running a week of action – Funding The Future – calling on school governors to lobby their local MP by inviting them to their school, by visiting their constituency office or by taking part in a national lobby on 28 February. As part of this, the NGA has detailed 9 asks to the Government for this year’s Comprehensive Spending Review. There is a growing chorus of voices joining us in protesting about funding cuts and seeking to apply political pressure and it’s important we work together. So please make sure teacher governors in your area know about this week of action and urge them to take part, along with fellow governors and head teachers. If you have any queries regarding the above timetable, please contact karen.handley@neu.org.uk or 020 7380 4746. For all district bank accounts that have been opened with Unity Trust, an email confirmation has been sent to each signatory using their NEU email address. This confirmation includes the “Memorable word” required for online banking registration with Unity Trust. It is a requirement to use your NEU email address to adhere to data protection regulations and ensure the appropriate safeguards are in place for the Union’s assets. The security for the Office 365 email system is maintained by the Union’s IT department. Please remind your members about Holocaust Memorial Day on 27th January and let them know that the excellent NEU Mosaic resources for schools are available to download. The messages for this #HMD2019 are Torn from Home and the Holocaust Educational Trust’s #Be louder campaign. #BeLouder emphasises the importance of Holocaust education against the disturbing rise in contemporary antisemitism and confronting hatred wherever we find it. Earlier this week, Nobel Laureate Kailash Satyarthi visited London and took part in a meeting and school visit with the NEU. A very successful meeting was held with Kevin Courtney, covering Satyarthi’s past work on child, human and labour rights and his current work with the 100 million campaign. The 100 million campaign seeks to empower 100 million young activists to fight for every child around the world to be free, safe and educated. Find out more about the 100 million campaign in the film The Price of Free. Education International has urged the global education community to take action to express outrage at the death threats received by the General Secretary of the Alliance of Concerned Teachers (ACT) in the Philippines. Find out more about the case and the unlawful profiling of ACT members on EI’s website, and take action here. A reminder to all those who haven’t yet booked but would like to attend this event. We’ll be at the etc venues, in County Hall, near to Waterloo and Westminster stations, and almost opposite the Houses of Parliament on the south side of the Thames. Start time will be 11:00 and we’ll finish by 16:00. Please click here for a list of all who’ve registered so far. If you aren’t on the list and would like to attend, please fill in your details here and book your travel as soon as you can, to take advantage of advance fares. We’re hoping most coming will be able to get to London without the need of overnight accommodation on 28 Feb. If however, you would need to leave home before 06:30 to reach the venue in time, there is space to indicate this on the booking form and the central events team will take care of hotel accommodation for you near to the venue. This course is for elected NEU health and safety representatives at workplace level. It’s split into two parts allowing participants to reflect on their learning and put into practice some of the strategies developed during the course. The course will brief you thoroughly on your role and rights as a health and safety representative and give you a clear understanding of the basic framework of health and safety law. It will also empower you to approach health and safety issues collectively. Book your place here. The next Treasurers Training Courses are an excellent opportunity for NEU District Treasurers to learn how to perform this key function for their District and about the changes that have taken place regarding financial procedures since the full integration of the organisation. The result of our indicative ballot announced on Monday was reported on in TES, Schools Week and Education Executive. A damning Public Accounts Committee report was released on Wednesday, shattering the Government’s illusion that academies and free schools enjoy proper oversight. We commented in the Independent, the Daily Telegraph, TES and again here, Huffington Post, ITV News, Education Executive and Public Finance. Other reports in TES and the BBC focused on the failures around asbestos. Our original press release is available here. Ludicrously, Damian Hinds chose the same day to call for more schools to academise. We responded in this PR. Our reaction to the release of secondary school performance tables on Thursday was widely picked up in the regional press. An example here and the original press release is here. This week we also commented on huge salaries for academy heads (Schools Week) and new curriculum proposals in Wales (SecEd). As the prospect of the UK exiting the EU with no agreed deal in place becomes more likely, I am writing to reassure our EU citizen members and our UK citizen members working in the EU of our commitment to ensuring that you are not disadvantaged at work under any circumstance. Last week’s historic parliamentary defeat of Theresa May’s Withdrawal bill only strengthens growing concerns around possible consequences for the education sector, with data suggesting this Government has relied on foreign nationals to fill gaps left by chronic staff shortages. In a joint open letter to the British council last year, we urged Brexit negotiators not to underestimate the impact of leaving the European Union on schools and pupils. Concerns we raised in this letter- namely around safeguarding employment rights, exchange programmes and recruitment from the EU- are yet to be answered sufficiently. As the March Brexit deadline approaches the urgency of our lobbying efforts increase. The NEU are putting together a guidance document and accompanying video to encapsulate our response to this national crisis. 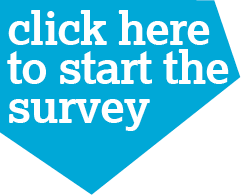 If you are an EU citizen member without settled status or UK citizen member working in the EU and would like to share your experiences, please fill in the survey below. With much currently uncertain, rest assured that we remain unwavering in our resolve to protect our members from the damage being done by this Government. Safer Internet Day : 5th February 2019 : NEU supportive comments below. The NEU is a supporter of Safer Internet Day 2019, taking place on 5 February. In advance of the day, some videos have been produced – see link below – including one about how children feel when their parents post about them online without asking their permission. Teachers, particularly primary teachers, may find these useful so please share as you wish. There are just three weeks to go until Safer Internet Day! We are excited to say that we have launched a brand new social media pack for stakeholders! This includes social media posts you can schedule in the lead up to Safer Internet Day as well as on the day itself. We also have some exciting new videos to share with you! In these videos, young people answer some key questions on consent online, and talk about how they feel when their parents post about them online without asking permission first. Thank you to everyone who has already signed up as a Safer Internet Day Supporter! We have already seen over 600 organisations on the supporters list. If you haven’t already, don’t forget to sign up as a supporter now! start Safer Internet Day by scheduling the below tweet to go out from your account at 8am on the 5th February. We have some new video content that looks at the theme of Safer Internet Day 2019, as well and giving an interesting insight into young people’s experiences of ‘sharenting’. In the first video, the Childnet Digital Leaders answer some key questions on consent online. Starting with what they like doing online, to how easy it is to say no, they then finish with some top tips for other children their age (7-11 years old)! Watch it here. In the second video, young people told us how they feel when their parents post about them online without asking permission first. Watch it here. Also, if you havent taken a look already, our Education Packs and SID TV films are a fantastic way to inspire and engage young people to use the internet safely and positively. From schools to police forces, over 650 organisations across the UK have pledged their support for Safer Internet Day 2019! All UK organisations working with young people who register as a supporter by the 3rd Feb will be entered into a prize draw for a chance to win a £50 Amazon voucher. All organisations already registered on the list will also be entered into the draw. As we build up to Safer Internet Day on Tuesday 5th February 2019, we’ll be providing you with regular updates to ensure you have everything you need to get involved. If you are not the right person to be on this mailing list, please do let us know, or select the unsubscribe button at the bottom of this email. If you know other colleagues or organisations who would like to join this list, please email sharon@childnet.com. Copyright © 2018 Childnet International, All rights reserved. You are receiving this email because you signed up at our website www.childnet.com. The inaugural meeting of the Surrey District of the National Education Union will take place on the 26th January at the Holiday Inn Guildford at 10.00 ( followed by lunch). The papers for this meeting are attached (see below *). One item on the agenda is the prioritisation of motions for Annual Conference at Easter. Every year, local organisations send in motions that they hope will be discussed at Conference; shortage of time means that only a few of these will actually appear on the final agenda. On 26 January we will have a chance to say which 6 motions we would like to see discussed. There will be hard copy of the motions submitted available at the meeting but I thought that you would like a preview of them all so that you can select the ones you would want to appear ( that is the Motions Booklet attached). There are a number of posts which are unfilled as yet and these are detailed on the agenda. Please give some thought to nomination for these. Without officers, there is no union. At this inaugural meeting it is important that we are quorate so please make every effort to attend.